Florida R&D fab; superconductor ships; magnet process. A new microelectronics R&D initiative in Florida is expanding its operations and readying its new 200mm fab facility. The initiative, called BRIDG, describes itself as a non-profit, public-private partnership. BRIDG is basically an R&D microelectronics facility, which is focusing on the development of select technologies, such as photonics, sensors, imagers and 2.5D/3D packaging. The organization is located in NeoCity, a 500-acre technology district in Osceola County, part of the metro Orlando region. The organization was originally called the International Consortium for Advanced Manufacturing Research (ICAMR). Formed in 2014, ICAMR provided an R&D platform for advanced research at Florida’s universities and the industry. In January of 2017, ICAMR changed its name to BRIDG, an acronym that means “Bridging the Innovation Development Gap.” Previously, state lawmakers approved funding for the project. BRIDG is funded with both public and private dollars, predominantly from its founding partners–Osceola County, the University of Central Florida, and the Florida High Tech Corridor Council. Imec, a Belgium R&D organization, is a partner of BRIDG. Other partners in BRIDG include Harris, Siemens, Massey Services and others as well as various universities. Imec itself has a lab within the BRIDG facility, and its U.S. headquarters is located along with BRIDG at NeoCity. “Although Imec is not a BRIDG funding stakeholder, they do operate the design center. Thus, once the fab is fully operational, we expect to perform selective process steps for the designs that the Imec design team produces,” said Gloria LeQuang, director of marketing and community relations at BRIDG. Meanwhile, in March of 2017, BRIDG moved into its new 109,000-square-foot facility. The facility has about 60,000-square-feet of cleanroom laboratory/manufacturing space available. “Regarding the production timeline, we began tool installation in October 2017. We are still at the stage of installing, calibrating, testing, and qualifying the equipment, but have successfully processed our first patterned wafer recently,” according to officials from the organization. 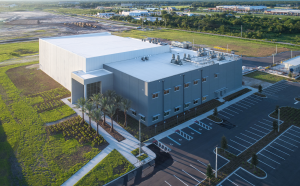 “The pace of activity at BRIDG has been accelerating as we near the phase of processing wafers,” said Chester Kennedy, chief executive of BRIDG, in a recent newsletter from the organization. Florida State University and Colorado-based Advanced Conductor Technologies (ACT) have made a breakthrough in superconductor technology. Researchers have demonstrated a high-temperature superconducting direct-current power transmission cable based on ACT’s technology. 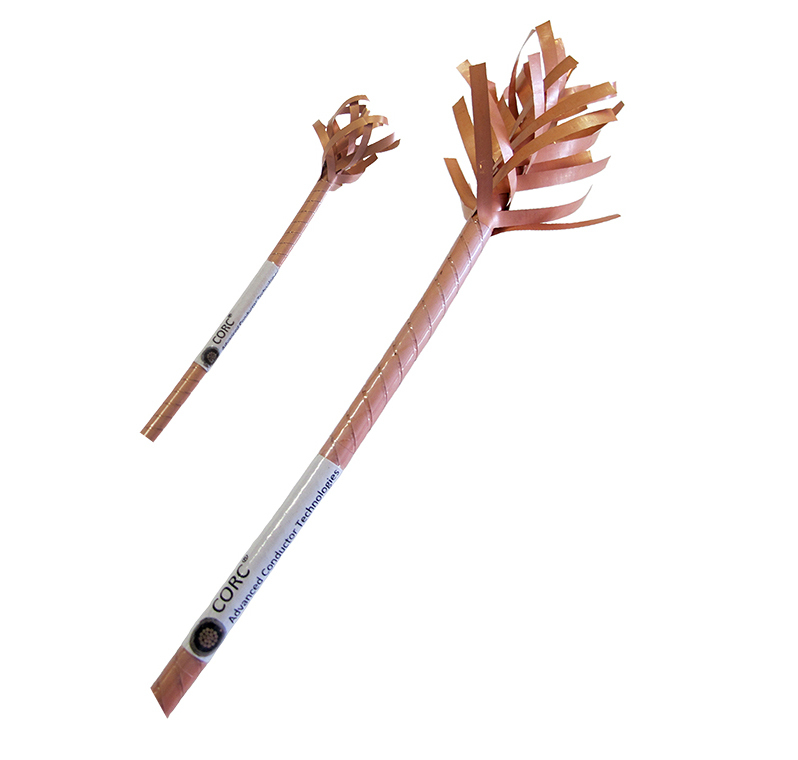 More specifically, researchers used ACT’s Conductor on Round Core (CORC) cable technology. These cables enable transmission of power at high currents, which could be used to fuel power grids or help operate an all-electric ship. Superconductors are devices that have zero electrical resistance, making them attractive for a range of applications. But superconductors must be cooled down to temperatures at or near absolute zero on the Kelvin scale to work. ACT itself develops high-temperature superconducting cables and wires for high-current power transmission systems and high-field magnets. The technology provides a higher current density than typical HTS cables. Researchers developed a two-pole direct-current power transmission cable. It was formed by twisting two 10-meter long monopole cables together. The cable was cooled by a cryogenic helium gas and tested at currents exceeding 4,000 amperes. The technology could be used for naval, aviation and power grid applications. For example, for its ships, the U.S. Navy is making use of superconducting cables. Ships require a more efficient means of transmitting power without any loss in a compact and lightweight system. “We had to overcome some technical challenges related to pressurized helium gas operation at high currents, but, in the end, the cable system worked the first time,” said Danko van der Laan, ACT’s founder. The National High Magnetic Field Laboratory (MagLab) has received funding from Florida State University for the development of a novel oxidization treatment for superconducting magnets. The technology could allow compact superconductive materials that would produce more powerful magnetic fields.